Another week has gone by, and another big milestone has passed. Our first delivery of organic feed has arrived! This means we’re finally able to publish our first price list. Please click here to see our organic feed prices. The rates we’re advertising right now are for online orders, with a minimum quantity of just 1 bag of organic feed. That means you can give it a try without having to order huge quantities of food. We’re also offering discounts on bigger orders, so you can economise once you know what you need. As word gets out about our organic feed delivery, we’re looking forward to building a bigger customer base, which means we’ll be able to add more products to our store. Check back for more information, or contact us for a larger price list (which includes products that are coming soon). We’ve started to build our price list and online shop slowly, so you can compare organic feed prices with your current supplier. Remember: all of these prices include FREE delivery within 5 miles of Loppington centre. Click on the map to see whether you’re in our catchment zone. Initially, we’re focusing on hand-delivering organic feed in our local area near Loppington. If you live further afield, don’t worry. We work with several couriers, so we can get a custom price, depending on the number of bags you would like. Just contact us to discuss your order in detail, and we’ll give you an exact postage cost. All customers can browse and buy now using PayPal, which protects you against fraud and non-delivery, and helps us get the feed out to you as quickly as possible. If you’d rather pay by cash or cheque, we’re happy to help. We’re grateful to everyone who’s ordered feed from us so far. If you’re on the brink of buying, but you’re not sure if organic feed is right for you, we’re here to answer your questions about the benefits. 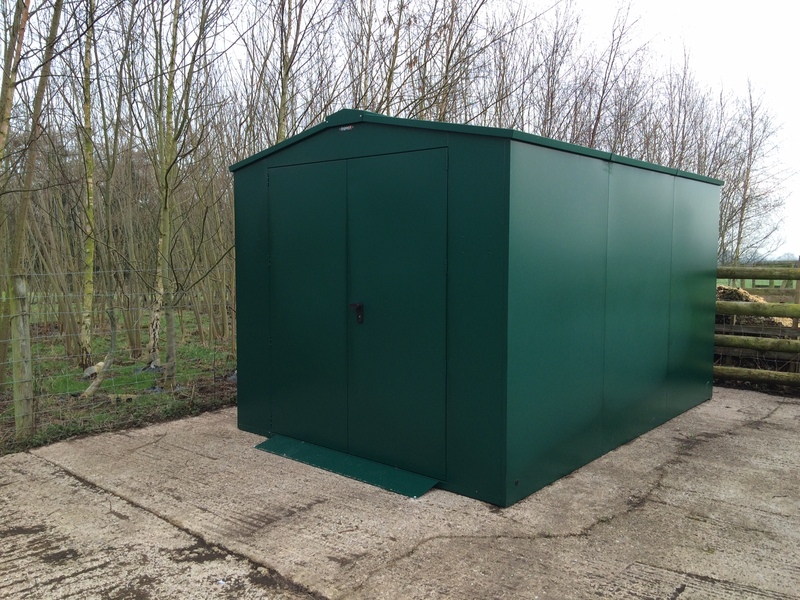 Drop us a line today and we’d be happy to give you more information. At Wackley Brook, we’ve been planning our launch for the last few weeks, and today, we made a big leap forward in making our first batch of deliveries. 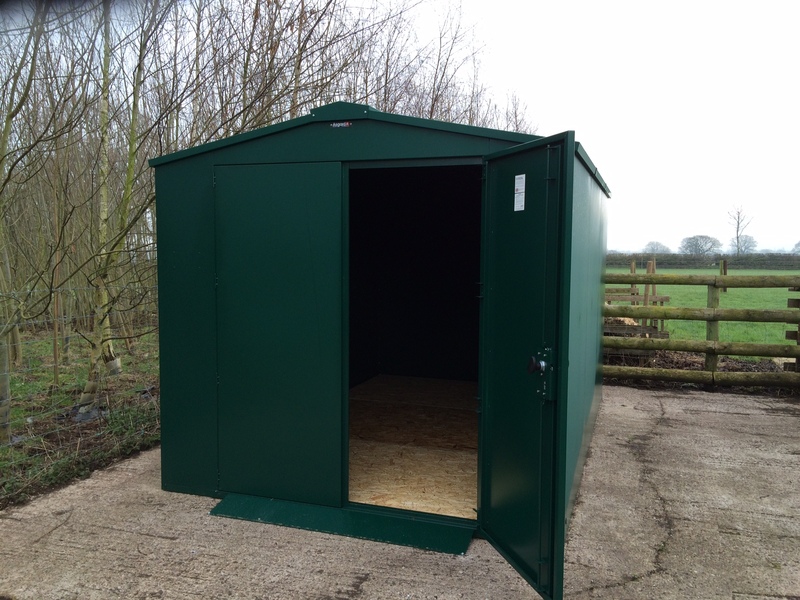 Our brand new shed arrived, which we’ll be using to store our organic animal feed here in Shropshire. We chose a large, heavy duty shed from Asgard so that our organic feed is fully protected from the elements. It’ll also ensure that all of our feed is protected from any rats and mice that would otherwise be able to help themselves! This ensures that your order will get to you fresh, dry and uncontaminated. Organic animal feed is made from 100 per cent organic ingredients. We believe that these are the best quality products available on the market today, and they offer outstanding health benefits for your animals. All of the feeds we sell are registered with the Soil Association and Organic Farms & Growers. Are you interested in switching to a new feed supplier? Our first order of organic animal feed has been placed, and we’re expecting our first delivery on 22nd February. We’re initially stocking layers, pellets, chick crumbs and sheep food. 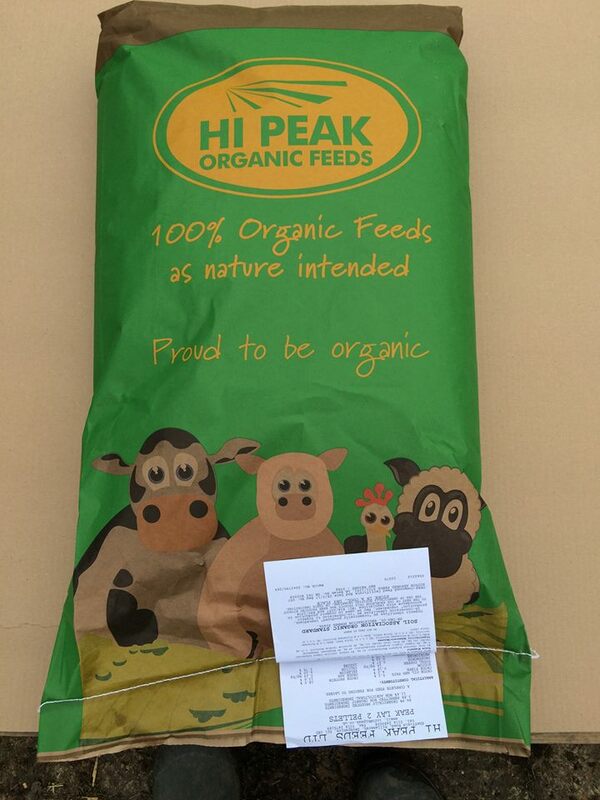 Our supplier is Hi Peak Organic Feeds, the largest organic feed manufacturer in the UK and Ireland. The chick crumbs we stock are packed with protein, with nutrients that boost the immune system and promote healthy growth. Because we buy organic feed in bulk, we can rival the prices you’re already paying for non-organic feed. What’s more, you can avoid the inconvenience of missed deliveries, and we don’t charge expensive delivery fees. If you’d like to order a batch of animal feed, and you live in the Wem area, drop us a line and register your interest now. We’ll be delivering personally to all of our customers, and we’d love to have a chat and answer your questions.